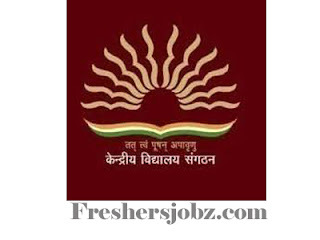 KVS Delhi Notification 2018.Kendriya Vidyalaya Sangathan, New Delhi has released a notification for the recruitment of Principals, Vice-Principals, PGTs, TGTs, Librarian and PRTs vacancies.Check the eligiblity and notification prior to apply for the positions. Online registration: 24.08.2018 to 13.09.2018. Age Limit: 35 to 50 years. Age Limit: 35 to 45 years. Subject: Hindi, English, Physics, Chemistry, Maths, Biology, History, Geography, Economics, Commerce, Computer Science. Age Limit: Max. 40 years. Subject: Hindi, English, Sanskrit, Science, Mathematics, Social Science, P&HE, Art & Edu, WET. Age Limit: Max. 35 years. Age Limit: Max. 30 years. Total no. of posts: 8339. Principal (Group-A): Applicants who have completed Master Degree with 45% Marks with B.Ed and 15 Year Experience or equivalent from a recognized Institute for KVS Recruitment 2018. Vice-Principal (Group-A): Applicants who have completed Master Degree with B.Ed and 5 Year Teacher Experience or equivalent from a recognized Institute. Trained Graduate Teachers (TGTs) (Group-B): Applicants who have completed Bachelor Degree in Related Subject with 50% Marks and CTET Exam Passed or equivalent from a recognized Institute. Librarian (Group-B): Applicants who have completed Bachelor Degree in Library Science or Degree with 1 Year Diploma in Library Science or equivalent from a recognized Institute. Primary Teacher (Group-B): Applicants who have completed 10th / 12th and CTET Exam Passed and 2 Year Diploma in Elementary Education or equivalent from a recognized Institute. Primary Teacher (Music) (Group-B): Applicants who have completed 10th / 12th and Degree in Music or equivalent from a recognized Institute. Recruitment test: Through Offline mode. Online registration: 24.08.2018 to 13.09.2018..